I have worked at Redwings since way back in 2000! I originally helped care for horses at one of the equine care centres in Norfolk then took on the role of Field Officer in 2003. I love my job! 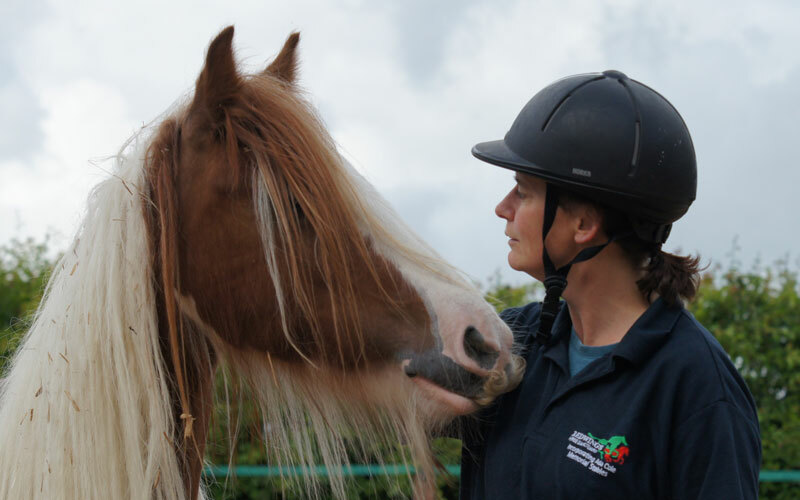 I had horses of my own from a young age, and am a qualified riding instructor but welfare work was a real eye opener; some things I’ve seen are difficult to deal with, but being in a position to make a difference makes my job incredibly rewarding. Although I am often involved in rescuing horses in need of help, I have to work within the law and my job isn’t about judging people, but assessing situations objectively. A large part of my role is educating owners in looking after their horse to improve standards of welfare without the need for rescue, that way Redwings can reach even more horses in need! My Redwings resident soft spot: I found Whitney and her companion in a terribly poor state, and with the RSPCA brought them to the Sanctuary the same day. Whitney was so weak she spent several weeks in a sling to help her stand, and it was touch and go as to whether she would survive – but she did and now she looks amazing! Seeing her recovery makes everything I do worthwhile.